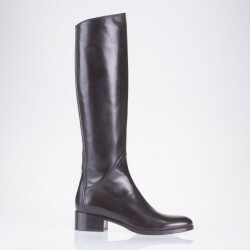 Leather ankle boots with side zip. Heel height 10 cm, platform 2 cm. Leather lining. Leather sole. Made in Italy. Fabric ankle boots with side zip. Leather lining, leather sole. Heel heights 4 cm. Made in Italy. Black leather open toe ankle boot. Back zip. Heel heights 8 cm. Leather lining. Leather sole. Made in Italy. Suede bootie. Block heel heights 5.5 cm. Leather lining, Rubber sole. 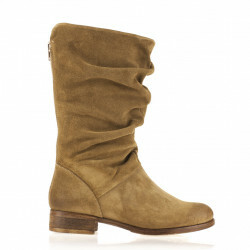 Mid calf boots in beige suede with pointy toe. Leather bootie. Block heel heights 5.5 cm. Leather lining, Rubber sole. 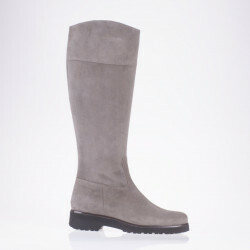 Mid calf boots in beige suede with round toe. Leather booties. Side zip. Heel height 2 cm. Leather lining. Leather sole. Made in Italy. Suede ankle boots with fringes. Leather lining. Rubber sole. Heel height measures 7 cm, Kitten heel. Up to the knee boots. 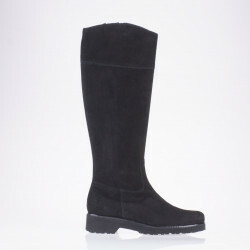 Black suede boots with stretch suede back strip. Leather lining. Rubber sole. Heel measures 7 cm. Shaft 47 cm.back and 50 cm ahead Tight at the ankle. Made in Italy. Suede and stretch suede ankle boots. Heel height 8 cm. Leather lining. Leather and rubber sole.